TBB: How did you guys get started with Conversations on Dance? Michael Sean Breeden: I have to give Rebecca credit here because this podcast was her brainchild. Rebecca and I had been doing pre-performance talks for Miami City Ballet, where we would go on stage and speak with the audience about ballets they were about to see, or about a role in the creative or rehearsal process. Rebecca had been mulling over the fact that there wasn’t a lot of dance content in the podcast world, and the podcast world was booming. She had looked into the percentage of Americans who were listening to a podcast every week and it was crazy. She then had the idea of bringing a similar format of what we were doing for our audience to the podcast world. Rebecca King Ferraro: I think it does have to do with my blog, Tendus Under a Palm Tree, because had I not had the blog to start with, we wouldn’t have had somewhere to host the podcast initially. Michael is wonderful, and he was always in charge of doing the pre-performance talks, and for good reason, because he is so great at them. He would invite me whenever he needed help and we would always have so much fun together. So I started looking into the technology and it wasn’t as hard as it seems. This was a year before Michael retired from dancing and a year before I went into a leave of absence due to an injury, so we had a year where we were together in Miami doing this and we then continued it from afar. TBB: Do you edit the podcast yourselves? MB: Rebecca does it all… she really is the master of technology! RK: I always say that Michael is the talent and I do the technology support part. I do all the editing and publishing, plus we have our own website. We also do all the social media. We’d love to get better sound equipment one day, or even pay someone to edit it. That would be a dream. TBB: Who do you make the podcast for, what is your audience interested in hearing about? RK: As far as we know, we have a broad audience. We believe students and dance professionals are the base audience, and then we have a few audience members and dancers who we often hear from, so that makes another chunk, plus parents of students, who also get in touch and tell us it is very helpful for them. MB: These are our main supporters, all those different groups coming together. We are always surprised by the array of people that listen to it, as sometimes we suspect it might be more niche than it actually is. For instance, we get people who are just beginning to become fans of ballet. We think that when we are delving into ‘what year Balanchine did this part for Patty McBride’, that maybe the only people who are going to care are total ballet nerds like us, but actually there’s an interest from budding ballet fans. RK: I think the biggest example of that is the podcast that we did with [NYT Chief Dance Critic] Alastair Macaulay about Serenade. For us, that was a total bunhead post, so we didn’t think it was going to be a particularly popular episode, but it is one of our biggest hits, and even people who don’t know about ballet, gravitate towards that one. It goes to show that even we try to project who our audience is and what they like, they can surprise us. TBB: That is one of our favourite episodes for sure! RK: It is a good one. He is amazing. TBB: It made us think that Alastair Macaulay should be a regular guest. MB: Oh yeah. We are always happy to talk to Alastair. We have talked about future episodes with a similar format, to historically dissect some ballets. We have talked about maybe having episodes on Giselle, Swan Lake, The Sleeping Beauty, and he did a big seminar on Afternoon of a Faun, the history of that ballet, and we’d love to have him on for that. TBB: That would be awesome. On the topic of guests, how do you select them? MB: Initially, Rebecca and I focused on inviting people who would be interesting but also easily accessible to us, rather than starting with guests who we didn’t know in person. We are lucky that we know several people in the business. For example, Justin Peck – who is someone people are very interested to hear from – is someone I’ve known since I was 15: we were in the dorms together at the School of American Ballet (SAB), so it is easy for us to interview him for the show. In early episodes, Rebecca and I would sit in my apartment with a glass of wine, skype-ing friends. After that, we started to branch out and well, the worst thing that anyone can say is ‘no’, and that is how we got Misty Copeland… by contacting her agent, and we also did that with ABT for Kevin McKenzie. RK: I think the first one that worked like that was Julie Kent. Just out of the blue, we emailed the general contact address at Washington Ballet and they got back to us and she wanted to do it and we Skyped her in and it was a big get for us: not only is she very well-known but she was also our first Artistic Director guest. TBB: What have been your most popular episodes and also your personal favourites? MB: The most popular episode by far is the one with Isabella Boylston. One reason is that she is an international star, of course, but also because she was very generous, and shared the episode across all her heavily-followed social media platforms and that really sent her episode through the roof. And what was great is that those listeners stayed with us. They were not only here for Bella and that’s that. Our listenership went up and has continued to stay there after Isabella shared us, so we were very grateful to her, and not only because it was such a fun interview! RK: Sometimes people will share us on their channels, and we are very grateful, but it doesn’t always blow up in the same way that episode did. And it is funny that you ask us about our favourite episode, because we are about to record our 100th episode after we talk to you guys, where we are going to go through our favourite ones and we always say that our number one favourite was Heather Watts for so many reasons. MB: It was a pivotal moment for us. First, because the Balanchine link makes Rebecca and I happy: we love hearing stories about that time and about the company. But on top of that, Heather was so honest and candid and saying these really raw emotional things. Rebecca and I never try to manipulate anyone into saying something that puts them in a place of vulnerability, but Heather went there fully on her own and it was very poignant. We were both in tears, so it was a very memorable moment. And after that, Heather spoke with [her husband] Damian Woetzel about having us at the Vail Dance Festival, and that is what really has allowed this to continue. If Vail hadn’t solidified our position as a legitimate entity, places like the Kennedy Center and San Francisco Ballet may have never taken notice, so it all really started with Vail. RK: The conversation that we had with her afterwards was so interesting, and she did note how we knew a lot about Balanchine and when I say we, I mean that Michael knows all those things! She acknowledged the need for our generation to carry this on. And this was off-the-record, after the episode, but she was saying how important this work is, to reach out to the community and this is what we are thinking, our idea, so she helped to catapult that. And we knew that Balanchine’s death had really affected her, but she addressed the topic in a way we didn’t expect, and it was really beautiful and moving, and it is an episode we highly suggest to anyone to listen to from our back catalogue. TBB: You mentioned Vail and you are returning there this year. Can you give us a flavour of how you are covering it? RK: Michael and I went as a part of Miami City Ballet in 2009, and it is such a beautiful setting, the outdoor theatres, it is a fun experience. But what we realised last year was that going as a company is very different from going as an individual. The individual dancers who go there invited by Heather and Damian, have this amazing air about them. They want them to be experimental, they want new choreography, dancing things they would not be dancing with their home companies, they want to take them out of their box. It is so much about the experience for the artist, and it just happens that the audience loves it. There were many dancers who we talked to last year who say “I first did this ballet at Vail. I would have never done it at my home company, and now I do it at my home company because I was able to say I could do it”. MB: I think Rebecca and I were in a panic last year going in because it was our first engagement ever as Conversations on Dance, and there are so many other things going on at Vail. I wouldn’t say it is disorganised, but things can change in a minute. I remember ABT’s Devon Teuscher was initially supposed to do the Black Swan pas de deux, and less than 24 hours before they were like: ‘do you want to do the White Swan instead?’ Things can switch very quickly, and because Rebecca and I were very eager to impress and do well, we were in high alert always, and sometimes they would switch our interview guest close to the time, but Rebecca and I were carrying over our dancers’s perfectionism, and we wanted to deliver the best product possible, so we were trying to make it all happen in spite of the frenzied pace. The last day, Damian came to us (and we hadn’t seen much of him), and told us we had done a great job and that he wanted us to come back this year for twice as long. That was the validation that we needed after working so hard. It is important for us not only as a podcast, but also as people who are transitioning outside of being a dancer; to have the validation that something we do that is not performing on stage, can matter. That was probably one of the first times we had that in our lives, so it was really nice. RK: last year we did three live events, and this year we’ll be doing six. So that is a big change. They want to make these interviews more of an integral part of what they are doing there. We’ll be interviewing dancers, choreographers, composers. They will all be recorded and published in our podcast and website. Recently, Michael and I got a beautiful email from listeners to the podcast. They emailed us to say they had a medical issue and they couldn’t come to Vail, even though they had bought tickets to every single one of our live events, they listen to the podcast and they love it. We started corresponding with them and learnt that by listening to the podcast they felt connected to Vail and to the experience. They felt like they were close to it. And while these particular audience members have been able to go in the past, there are a lot of people who can’t and want to know about Vail and what is happening with the festival, and it is such a unique, beautiful thing that they are doing there, so we are very happy to be able to share that with people and to find a way to allow people to connect with the festival and the artists on a deeper level. TBB: Speaking of experimenting, how have you seen the art form change from when you were students, dancers to now? MB: I have been thinking about this a lot, and it’s crazy to think how much things can change in say 10, 15 years. I think most of it is for the better, things like getting away from the way ballet even just implicitly supports body dysmorphia. Issues that are pretty normal for us, and the way we just accepted them and did not question them… they are now being questioned and the ballet world is trying to move away from that negative ideal. Things like that, or even the way students are treated. Rebecca and I talk about this a lot. Just because you were treated in a specific way when you were a student, that doesn’t meant that it was the best way to continue on as a teacher. You hear so many coaches say “that’s how it was when I was a dancer” but I think our generation tends to reject that idea. If it wasn’t conducive to a healthy work environment, or it didn’t produce good art, why keep it? Or if there is a healthier way of doing it, let’s explore that. So I think that we are making progress on those grounds. RK: I would definitely agree with that. Unfortunately, I haven’t been able to see as much ballet since I stopped dancing, I know Michael has seen more. 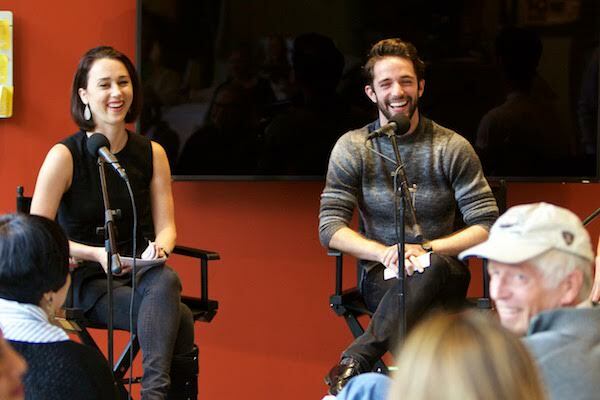 But one thing for us, that we have been meaning to touch up on the podcast, is when we went to San Francisco Ballet, and we were in the studios where we both went on a summer course. It brought us back to this place of excitement: a career that was coming, all these exciting things ahead of us, and then to walk back in that studio with our careers behind us, it was quite an emotional thing, but it was also healing in a way that we can continue to be involved, in a different way. So I think we are hoping to contribute to the way that ballet continues to move forward, and we have great young voices creating interest in the art form and we hope we can also contribute in showing that ballet is not old and boring: that dancers have intelligent things to say and think about their art form in a very objective way, that they put so much thought into what they do, and if people don’t hear from the dancers, they won’t see them like people in the way we want them to. Hopefully these kinds of things improve outreach. 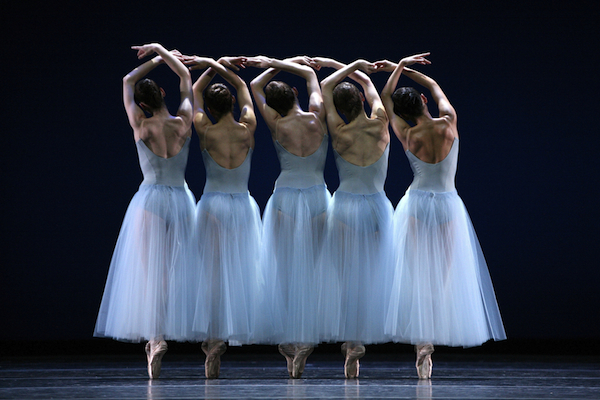 TBB: Which ballets are currently in your “must-watch” list? MB: My pick would be ballets that have been made in the past 10 years that I really like and would recommend for anyone who thinks ballet is dead: Alexei Ratmansky has choreographed a number of works that I would consider genre-pushing and very 21st century. Symphonic Dances for Miami City Ballet, Pictures at an Exhibition for NYCB which is totally stunning, Namouna – A Grand Divertissement which is just incredible – and for anyone who hasn’t seen Namouna or won’t be able to see it easily, there’s a short clip of Sara Mearns doing her variation which contains some of the best dancing anywhere. Justin Peck is also producing very interesting new works: from The Decalogue, which is a work he did with Sufjan Stevens a year ago, The Times Are Racing, Year of the Rabbit, which was the work that really put him on the map (funny because Justin sometimes puts the work down, but I think it is hard to look at your earlier, novice work, even though it is so brilliant, when you have further developed your craft). I think it is a masterpiece and I am lucky because I get to stage it next year. RK: Hurry Up, We’re Dreaming, which is a ballet Justin did for SFB, is awesome: it has rock music and you are at one of the most beautiful opera houses in the country, the War Memorial Opera House, with all the gold, and the dancers are all in sneakers, doing some plays on moments from Balanchine’s Midsummer Night’s Dream, rocking out and it is fun to see, particularly in a programme with things that are more classical. So those works that are making the art form more modern, for younger voices, I think it is definitely helping. TBB: These are great recommendations! And given that you are podcasters, can you offer some podcast picks? MB: I love a podcast called Past Present. It is a nerd podcast, because it takes events from today and puts them into a historical perspective. So for instance when Misty got promoted, they actually discussed the history of race in ballet and put into perspective why Misty’s promotion was such an event. They are all amazing and fun history nerds, and they give a lot of perspective to things we are dealing with today. RK: I love murder-mystery podcasts. It started with Serial which is so incredible and interesting, and fairly recently I went back and listened to one that is older, Up and Vanished, from a documentary filmmaker who decided to do something similar to Serial and found an unsolved mystery of a woman who went missing 20 years ago, and with the attention the podcast received, the crime was eventually solved. It was 25 episodes and when it was over I was like ‘what am I going to do now?’ It was insanely good.